Spotlight on the National Museum of African American History and Culture! 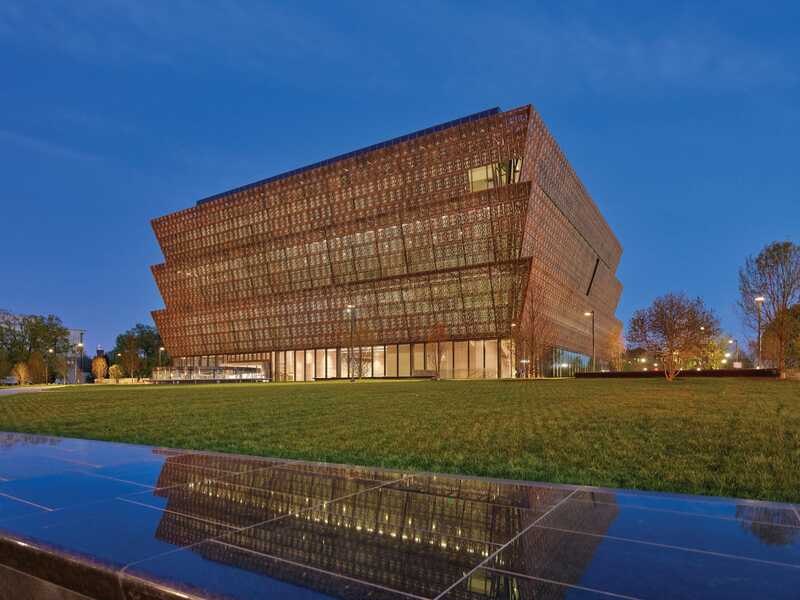 Museums enrich our understanding of history and society, and the National Museum of African American History and Culture (NMAAHC) is no exception! The latest addition to the Smithsonian, the NMAAHC had been a long-awaited arrival when it opened its doors to the public in 2016. By that point, the museum had officially been over 13 years in the making. Congress established the museum in 2003, after decades of advocacy by many organizations and representatives from the African-American community. Open now, the museum is only 10-minutes away by car from American Guest House, a D.C. bed and breakfast. So, we suggest that you visit NMAAHC this summer! The mission of NMAAHC rests on four pillars. First, the museum provides an opportunity for the public to explore African-American history and culture. It also allows for the public to understand “how their stories, their histories, and their cultures are shaped and informed by global influences.” Thirdly, it contributes to the understanding of African-American identity. Lastly, it identifies itself as an entry point for new audiences to learn about American history from a different perspective. 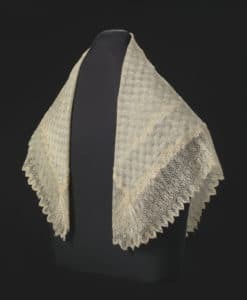 The NMAAHC has some of the most moving collections in all of the Smithsonian. In particular, Nat Turner’s Bible, a slave auction block and Harriet Tubman’s shawl are especially powerful. Incredibly, the museum possesses in its collection a surviving slave cabin. Additionally, visitors can learn about the role of African-Americans in founding and building our nation. 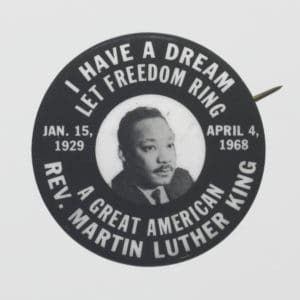 Important cultural figures like Reverend Martin Luther King. Harriet Tubman and Oprah Winfrey are honored in the museum’s exhibits. Similarly, this museum honors recipients of the Medal of Honor, famous athletes and entrepreneurs. Moreover, the museum brings attention to the important cultural contributions of the African-American community to America. Cultural exhibits educate the public on the monumental contributions of African-Americans to the arts, sciences, and politics. NMAAHC puts particular emphasis on visitors’ connections to the past. Thus, museum guests have the opportunity to do genealogical research in the Family History Center. The resources and collections in this museum are truly remarkable. The NMAAHC explores the resilience of African-American communities, in and outside the context of slavery. It focuses not only on the trials and tribulations of African-Americans but also on their triumphs. Finally, it demonstrates the importance of compassion and a belief in a shared sense of humanity. In this vein, the museum encourages guests to consider their potential to change the course of history. We are happy to have another museum in Washington, D.C. that fosters community while celebrating diversity. This museum is a must-see. However, as one of the most popular museums in Washington, D.C., this museum requires that tickets be reserved in advance. Fortunately, there is no cost associated with gaining access to the museum. It is open 7 days a week, year-round between the hours of 10:00 AM to 5:30 PM. For other frequently asked questions, we suggest guests visit this page. NMAAHC also regularly posts about upcoming events here While you are there, visitors must grab lunch at Sweet Home Cafe! This cafe boasts delicious food that “showcases the rich culture and history of the African American people.” In particular, the shrimp and grits are incredibly tasty! Guests should prepare to spend all day at this interesting museum and fuel up with a delicious breakfast at American Guest House. As a hotel near Dupont Circle, our cozy D.C. accommodation allows guests to visit a diverse range of museums and cultural sites. Without even leaving your room, our D.C. bed and breakfast delivers its own taste of history. Our cozy decor reminds one of a beautiful bygone era and the original wood carvings from the 1890’s are incredible. Moreover, the staff at American Guest House are always happy to make your stay as pleasant as possible. Book now before we fill up in anticipation for summer! We hope to see you soon.